Winchcombe is a pleasingly practical town at the intersection of five well-established walking trails including the famous Cotswold Way. The site was first settled when Cenwulf, King of Mercia, founded an abbey here in the 8th century. Winchcombe, which means 'Valley-with-a-bend', went on to become the capital of Mercia, an important Saxon town with the right to mint its own coins. The abbey, of which virtually nothing remains, encouraged prosperity in the town and gave rise to a flourishing trade in wool and sheep, silk and paper and even, for a time, locally-grown tobacco. In 1670 a law banning home-grown tobacco in favour of imported tobacco from Virginia was passed and Winchcombe's economic growth was halted, allowing many of the buildings to remain unaltered since the fifteenth and sixteenth centuries. St Peter's Church is such a building. Dating from the 1460s the church is most famous for its collection of gargoyles, one of which is said to have been the model for Lewis Carroll's Mad Hatter. In 1246 a second abbey was founded about a mile from Winchcombe Richard, Earl of Cornwall and brother to Henry III. Richard was caught in a storm at sea that nearly claimed his life, and he vowed that if he survived the ordeal he would found a religious house. His brother the king gave him Hailes Manor and the Cistercian abbey he built there was on such a grand scale that the monks initially struggled with the cost of the upkeep. Luckily a wealthy patron donated a phial said to contain the blood of Christ, which led to Hailes Abbey becoming one of the great medieval centres of pilgrimage, referred to by Chaucer in the Canterbury Tales. The pilgrim trade remained hugely lucrative until the Abbey was closed by Henry VIII on Christmas Eve 1539. The phial was tested, found to contain duck's blood and destroyed and the Abbey fell into ruin. The only significant parts to survive the passing of the years were the cloister arches. 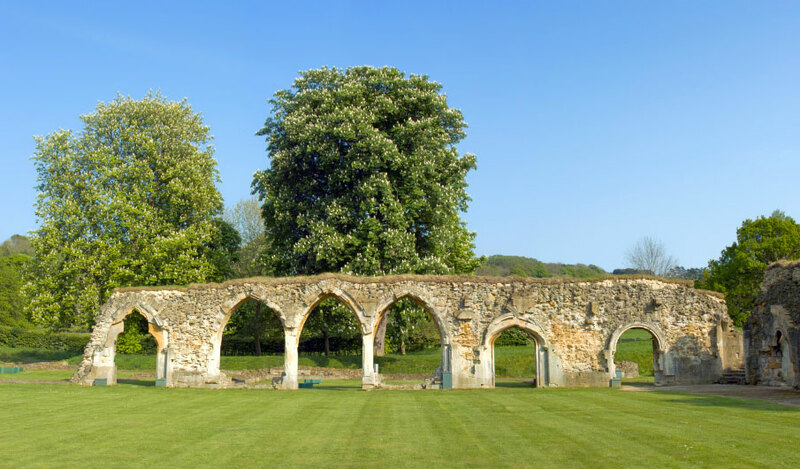 The ruins of Hailes Abbey are now maintained by the National Trust and a museum exists to display some of the many artefacts found on the site, which include medieval sculptures and decorative floor tiles. Some of the medieval glass from the abbey is now in the church at Stanton. Hailes Church, next to the Abbey, has fared better through the passing of the years. This twelfth century church contains remains of 13th century murals, a Medieval rood screen, a Jacobean three-decked pulpit and a 17th century alter table on original alter stones. Hailes Abbey was not the only important place of pilgrimage associated with Winchcombe. St Kenelm, martyred by his jealous sister in the 8th century, has long been associated with St Kenelm's Well, a natural spring whose waters are said to have healing properties. It is said that Kenelm's coffin bearers laid their burden down on the side of a hill to rest and water spontaneously gushed forth. A short walk along the Cotswold Way from Winchcombe is Belas Knapp, a multi-chambered tomb that dates from around 3000 BC. It was excavated in 1863 and 38 skeletons were found. The remains from the excavation are on display at the church museum in the town. Winshcombe is home to two further museums. The Winchcombe Folk and Police museum, housed in a Tudor-style town hall next to the Tourist Information Centre, details the history of the town from the Neolithic Age to the present day, as well as keeping a collection of police uniforms and equipment. The Winchcombe Railway Museum and garden, hidden down a narrow alleyway, contains one of the largest collections of railway memorabilia in the country. Nostalgic visitors can work signals, clip tickets and wander through a garden full of rare plants. Another notable garden in the area is at the famous Sudeley Castle, wedding venue of Liz Hurley and final home of Catherine Parr, widow of Henry VIII. The castle itself dates from the 10th century, although the portion that is lived in is mainly Elizabethan. 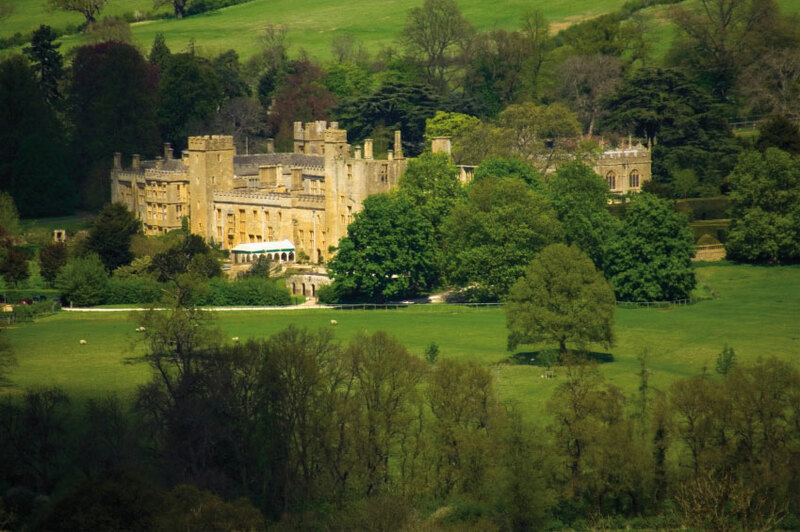 Sudeley castle has a long history of changing ownership and can claim to have been the temporary home of the young Princess Elizabeth (later Queen Elizabeth I) and the young Lady Jane Grey. The current owners are Lady Ashbourne and her two children, Henry and Mollie Dent-Brocklehurst. Parts of the castle grounds, which are designed and maintained to a very high standard, are open to the public from March to October. A number of family-orientated events run throughout the season and at Christmas time and there are guided tours of the castle offered three times a week on Tuesday, Wednesday and Thursday.